“We have moved premises” effective 15 August 2015, New address is 82 Side Road, West Turffontein, 2190 Temporary telephone number (011) 433-3260"
Group Alfa Events is the South African branch of African Exhibition Services of Nigeria, which was founded in 1982 by the brothers Fadi and Karim Jarmakani. Group Alfa Events draws on the expertise and the success of African Exhibition Services to bring a new dimension to service levels for the local exhibition market. Welcome to Group Alfa Events! As a subsidiary of African Exhibition Services with its head office in Lagos, Nigeria, Group Alfa Events brings to the South African exhibition and events industry a wealth of knowledge and expertise. The fact that some clients of AES started hosting annual events in South Africa, necessitated for the group to have a South Africa office. Group Alfa Events is located in Park Central Selby, No 11, also termed by the other tenants as “Exhibition City”, which places us in the HUB of the exhibition and eventing industry in South Africa. It means that the complete service, from design to project management of your event, can be sourced and managed with ease. Our office is run by a team of well-known experts to ensure fast and effective delivery on all quote requests, exhibition and event services and client relationships are regarded as a valuable asset. In the last 12 months, Group Alfa has grown its client base and is making its mark in the local industry. One of our biggest assets is the fact that we have stock and manpower to resolve almost any crisis within a short time. Group Alfa Events delivers and that is what makes us stand out in a very competitive market. 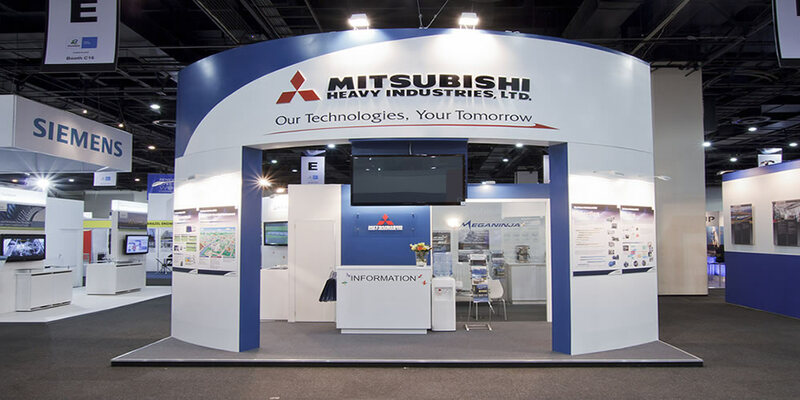 We have worked in almost all of the venues in Gauteng and can solve most problems and provide exhibition service solutions to our clients as a result of this experience. We understand the cost of build-up and breakdown and work with our clients to ensure that deadlines are met without compromising on quality. The local leadership team consist of Carmen Baartman, Kevin Hughes & Simon Aubrey. Fadi & Karim Jarmakani are based in Nigeria, but have their fingers on the pulse of the office at all times. The team is supported by designers, stand builders, carpet teams, electrical teams and more – all you need to make your event extraordinary. Our mission is to add value to exhibitions and events through our products, service and knowledge. In order to become the leader in supplying event support services, we need to: - Maintain the highest level of professionalism - Refresh old relationships and build new ones - Develop and grow with our clients and their needs - Provide benefits using all channels and technology; and - Continue to communicate with our clients to ensure flow of information. Copyright © 2013 Infinit8, All rights reserved.